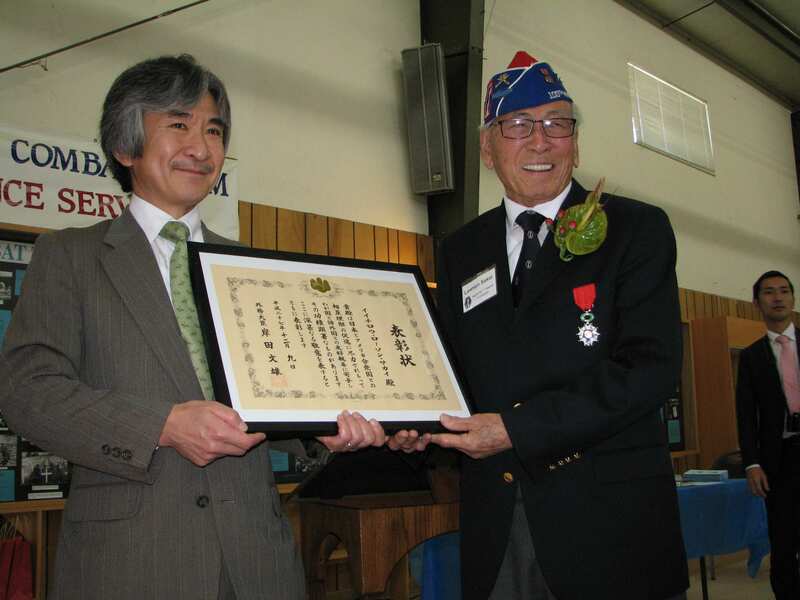 In a show of support, Jun Yamada, Japan’s consul general in San Francisco, has sent a letter backing the U.S. stamp proposal that features the Japanese American World War II soldiers. “On behalf of the Japanese government, I would like to express my strong support for this proposal,“ Yamada stated in a June 15 letter to Postmaster General Megan Brennan. Yamada recounts in his letter that his recent visit to the Manzanar incarceration center during the April pilgrimage to the site, and his talks with former incarcerees and Nisei veterans had an impact on him. The 11-year grassroots campaign for the stamp, called Stamp Our Story, has struggled against the bureaucracy of the Postal Service stamp selection process. Three California Nisei women who endured World War II incarceration, Fusa Takahashi of Granite Bay, Aiko O. King of Camarillo, and Chiz Ohira of Gardena, sparked the nationwide effort. They are pushing hard this year so that a stamp might be issued in 2017, during the 75th anniversary of Executive Order 9066, which authorized the camps. The USPS has no obligation to respond to proposals, and often does so on its own timeline, which can take many years. The stamp selection body, called the Citizens’ Stamp Advisory Committee, consists of 15 members who are all appointed internally by the postmaster general. They meet quarterly behind closed doors, and are restricted from discussing stamp selection with the public. Minutes of the meetings are not public. Despite the obstacles and lengthy process, activists continue to seek letters of support from public officials. On May 23, Gov. Jerry Brown added his endorsement, joining 36 members of Congress so far this year. For more information on the campaign’s recent efforts, and to read a copy of Yamada’s letter, go to www.StampOurStory.org.